Sitting on a table a gun is powerless. It cannot harm anyone. It cannot fire by itself. It cannot murder. It cannot kill. It is only when it is in the hands of a human that it becomes a weapon. It is only in the hands of a human that it has potential to kill and injure. Only in the hands of a person does a gun have power. Without a human hand, without human intent a gun is powerless. It is nothing more than a steel paperweight. And yet knowing this, that a gun by itself is powerless, looking at a gun sparks strong emotions. If you were to see a gun laying on the sidewalk as you were taking a walk how would you react? What emotions might you feel? Would the sight of a gun spark anxiety? One summer I was to fly back east. A friend drove me to Portland where we were going to stay the night before I flew out in the morning. I didn’t have a lot of money so we stayed at a seedy motel, the kind where the attendant speaks to you through 4 inches of bullet proof glass. We got the key to our room and entered. I gagged a little as it smelled like cat piss everywhere. We were to find out later the room had been a meth lab. As we toured our room we raised an eyebrow at the bed that sunk in the middle like an old horses back. I guess this room had seen some action. As we opened the door of the closet I spied something on the top shelf. It was a handgun. We both froze for a few minutes not really believing our eyes. Could this gun have hurt us sitting on that shelf? Of course not, but the image of it was enough to spark strong emotions that froze us in our tracks. That is the power an image has. 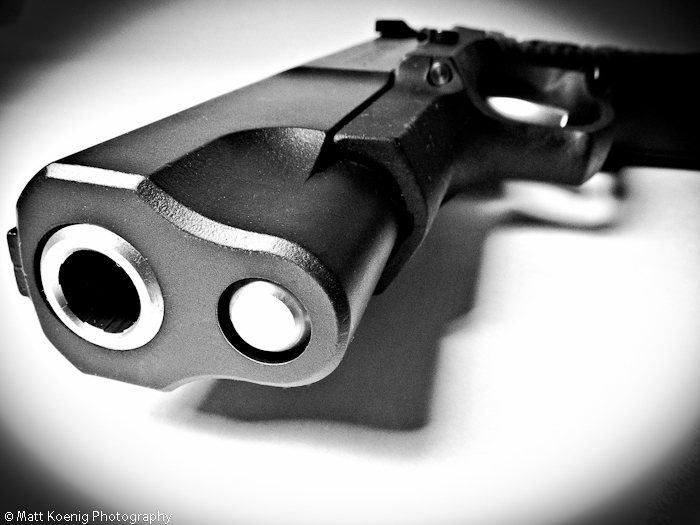 An image has the ability to stir strong emotions and elicit a reaction just as if someone were pointing a gun at you. People are visually oriented and the power of a photo has always been exploited. How much better does that burger look in the photo than it does in the wrapper the cashier handed to you? How do you feel when you see images of homeless people sleeping on the streets, or hungry kids from Africa? Does it make you want to contribute money? As you go about your week consider the images you see day to day. What is their intent? What went through your mind when you first saw this image?